The challenges facing some women who are married to a man with Aspergers (high-functioning autism) can be difficult to navigate. These challenges may be completely hidden to other family members, friends and co-workers. No one seems to understand what the wife struggles with. Her husband may seem to be a “good guy” who appears perfectly "normal" to everyone else. Being married to a man on the autism spectrum may be filled with a predictable progressive pattern that goes from joyful to puzzled to irritated to angry, and finally, to hopeless. In the beginning, the wife may have been swept off her feet and ravished with affection and attention. She was the primary focus of her boyfriend's life. His “obsession” with the relationship felt romantic and intoxicating. But, after a few years of marriage, this feeling may have faded. Hopelessness: When the wife’s best effort to resolve the ongoing relationship difficulties goes nowhere, a lack of hope may permeate the relationship and lead to a separation or divorce. Rejection: Men on the autism spectrum are often consumed by their "special interest." They may be chronically distracted by this interest and find it difficult to pay attention to their wife. This may lead her to feel neglected, or it can be misinterpreted as disinterest on the part of her husband. Resentment: This emotion becomes prevalent when the wife feels ignored, disregarded, disrespected, and alone in the relationship. Some wives will respond to this by becoming very angry and yelling at their husband, while others will shut down and block all emotions (with the possible exception of sadness and depression). Extreme fatigue: As the wife tries to compensate for the lack of equal sharing or follow-through in responsibilities, she often feels exhausted. In her mind, no amount of effort appears to resolve the problems that continue to plague the relationship. Due to the inconsistency in her husband's willingness to take responsibility for things and feelings of being burdened with more than her fair share of tasks (e.g., chores, child-care, bills, etc. ), more feelings of exhaustion and tension are manifest. Feeling devalued: Wives of Aspergers husbands often get the feeling that all their good suggestions and advice are not taken to heart. This may cause the wife to come to the conclusion that her ideas, opinions, wants and needs are worthless to her husband. Disappointment: In the viewpoint of the wife, the same kinds of problems keep presenting themselves over and over again. She has tried to discuss the issues in question, and she has tried to make herself understood, yet the same problems persist. Feeling isolated: Because her husband seems disinterested in what she has to say and appears to ignore her, it easy to understand why the wife may feel lonely. 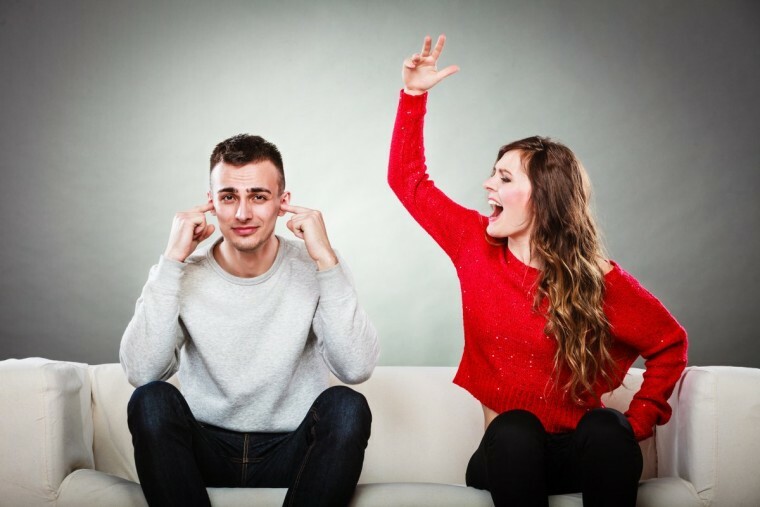 Since the Aspergers husband may not even be aware that the marriage has changed for the worse, he doesn't understand why his wife is always so demanding and "bitchy." Her increasing dissatisfaction, resentment and complaints only further damage any chances of communication and intimacy, because the husband feels that he can “never do anything right.” He may even feel unloved. 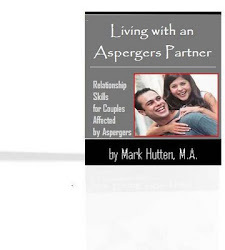 The negative, downward spiral that we just looked at may be avoided when both spouses understand the way Aspergers symptoms are affecting the relationship. It is VERY possible to learn different behaviors to heal these kinds of wounds.